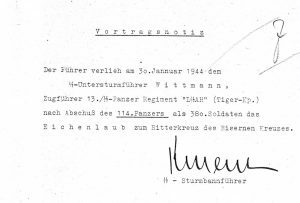 Two short memorandums were sent following the award of Michael Wittmann’s Oakleaves (Eichenlaub) to his Knight’s Cross in January 1944. 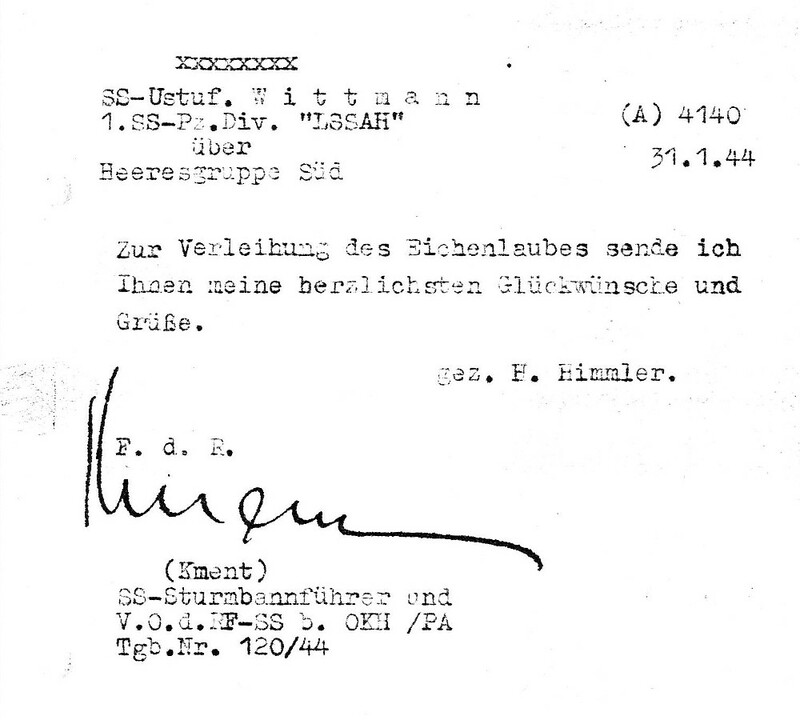 On 30th January, there was additional confirmation of the award by Adolf Hitler, and on the following day Reichsführer-SS Heinrich Himmler would send his own personal greetings to the LSSAH Tiger commander. Both items are in standard typeface, but two different typewriters have been used. The first memorandum was typed on a special SS keyboard (note the stylised “SS”) with the second on a device with a standard keyboard. 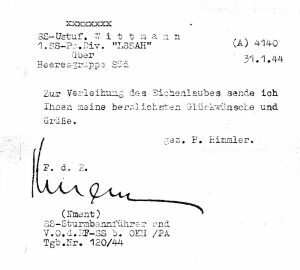 Both documents are signed in ink by SS-Sturmbannführer Wilhelm Kment (15.03.1915-15.11.1984), who was assigned to Himmler’s staff after losing a leg in battle. Kment was placed in charge of processing decorations for Waffen-SS personnel, and his signature can be found on a number of similar documents. 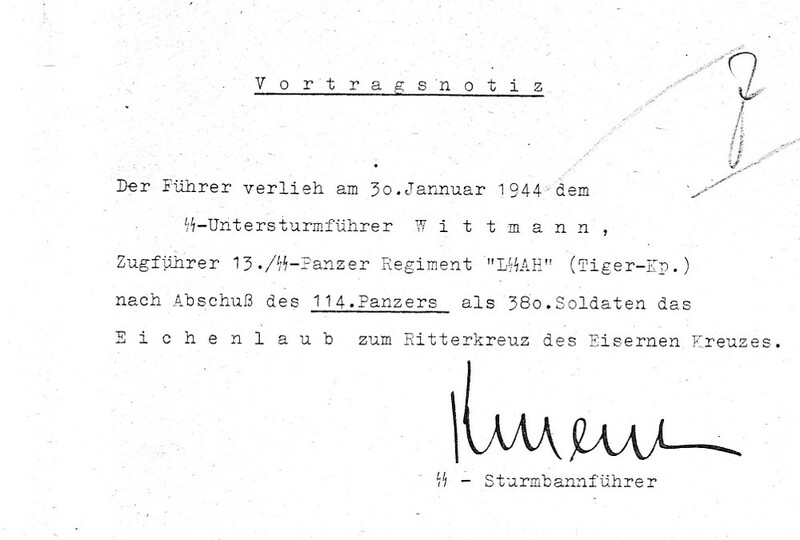 On 30th January [typo in original] 1944 the Führer presented SS-Untersturmführer Wittmann, platoon leader of the 13th Panzer Regiment “LSSAH” (Tiger-Kp.) following the destruction of his 114th Panzer as the 380th soldier the Oakleaves to the Knight’s Cross of the Iron Cross. For the award of the Oakleaves I send you my most sincere congratulations and greetings.